Coming in 2019...Stay tuned for an easier, faster way to achieve more effective posture and movement correction. The Align systems bring an end to confusion and an end to pain chasing. It’s a road map to the root cause of dysfunction in the body. It’s a method to real, measurable progress. Ask me for more information and how it can help you achieve your health and wellness goals. What is Align Manual Therapy? The ALIGN System, your key to total body transformation, is an evidence based manual therapy that is straightforward and comprehensive, measurable and precise. Align incorporates techniques stemming from Osteopathy (including visceral manipulations and cranialsacral therapy) as well as techniques from Integrative Manual Therapy (and more!). 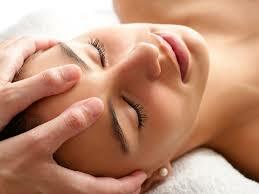 All combined it is designed to decompress the body to help you gently restore to proper alignment from head to toe. Your assessment provides insight into your posturing, movement and functioning in each of the body’s anatomical zones, planes, and axes to give unique information about you. And since everything is connected, it recognizes important and dynamic relationships and synergy between your body, your mind and your environment. Aches and pains that prevent you from enjoying physical activity, even when you limit physical exertion. You experience muscle tension that doesn’t respond to massage or other relaxation techniques. You have trouble concentrating and focusing, even on relatively simple tasks. You suffer from frequent backaches that interfere with your enjoyment of everyday activities. Your feet ache, even though you spend most of your time sitting. You have difficulty sleeping, and find yourself waking up several times during the night to change positions. You tend to injure your joints or muscles easily. You often feel tired, even when you spend eight or more hours in bed at night. You see yourself as “clumsy” or as having poor balance. You feel like people form a negative opinion of you or don’t take you seriously when you meet them. You feel frustrated, worried or irritated far more than you should. If this sounds familiar, you’re not alone. Millions of people around the world deal with these problems every day. In many cases the problem isn’t obvious; most of us use painkillers for too long to deal with aches and pains, take body-damaging sleeping pills to finally get a bit of rest, or avoid social situations due to anxiety or lack of confidence! Even worse many feel hopeless and vulnerable, a victim to suffering or aging poorly. I can restore vitality to areas affected by trauma, injuries, stress, and other factors. Relieve neck and back pain, headaches, and chronic back pain. Help your quality of life and decrease frustration and anxiety that comes with living with an achy, sore, irritated body. Increase focus to help you get the most out of your work and study efforts. Move with agility, power, grace and ease no matter what your age.